Brixham Fish Market Tours - click the link for more info- English Riviera - 2019 sees these tours in their 10th year and they are still proving to be very popular, even with the very early start of 6am. 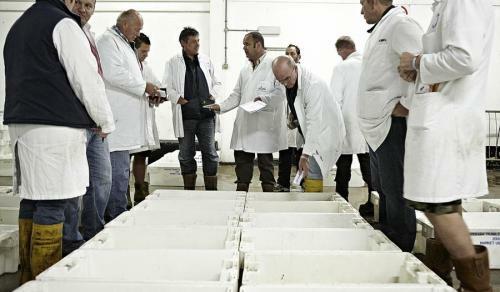 The market sees over 40 different species of fish annually with a turnover of around £40million. A chance to see behind the scenes and the hustle and bustle of the world famous Brixham Fish Market, culminating in a delicious fish breakfast at Rockfish. The Brixham Pirate Festival is jammed packed with wonderful things to see and do, we have some of the best piratical bands in the world, market stalls, a family area, incredible skirmishes and reenactments and more! Best of all, the festival is totally free to the public! We are able to do this solely through public and corporate support in the form of donations and sponsorships, so please give generously! BrixFest Brixham 25th-29th May 2019 - click the link for more info -https://www.brixfest.com/ Our small but dedicated committee have been working away over the cold autumn and winter months to bring you something special - the 8th (yes EIGHTH!) instalment of BrixFest. We're so excited to show you what we've been up to.It's happening. Firstly, our annual Official Opening is back with a yet-to-be-announced VIP guest, on Saturday 25th May at 11am. The day gets better and better as we move into the afternoon, with live-cooking demonstrations on stage. As usual, you'll get to eat the results of those demonstrations.Live Music and delicious food and drink from local stall holders follows in the lead up to our evening entertainment. Infamous local band Harbour make their BrixFest debut, headlining the Main Stage at 8:20pm. Our Grand Fireworks Display returns at 9:50pm, and you can view it from anywhere around in the inner harbour. Skippers dress the boats with bunting and battle it out with two lap race around the Bay and fun and festivities on the quayside all raising money for local charities. The winner is not always the first across the line as there is a very strict handicapping system. 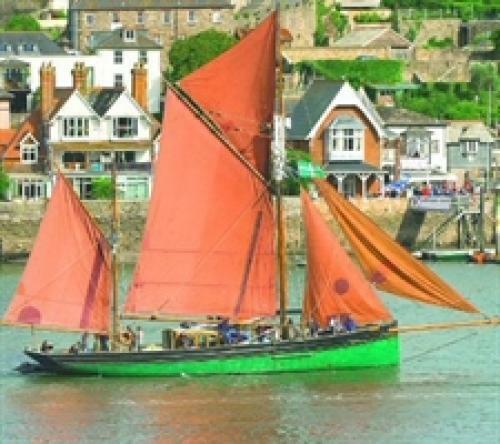 Brixham trawler race is the highlight in the Ports year and celebrates its maritime excellence. Boats are dressed with bunting and battle it out with a race around the Bay, creating quite a spectacle for locals and visitors alike. The after party on the quayside is always fun for all the family and lets the fisherman have a catch-up but the event also raises thousands of pounds for local Charities. 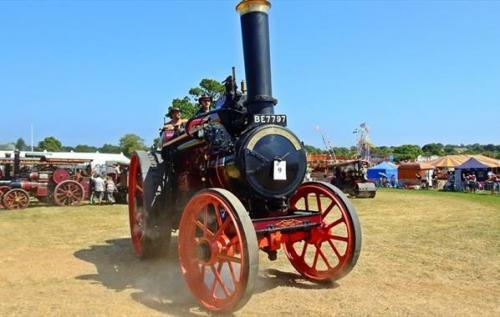 Torbay Steam Fair 2nd-4th August 2019 - click the link for more info-http://www.torbaysteamfair.co.uk/Torbay Steam Fair is now one of the biggest events on the English Riviera events calendar and attracts visitors from far and wide.Situated just outside Brixham on the main A3022, this 3 day event is a must for all the family. RNLI Lifeboat Week - 5th-11th August 2019 - click the link for more info- http://www.torbaylifeboat.co.uk/ A week of fun and games at the Lifeboat station and on the water including a range of stalls, etc. Torbay has been served by Lifeboats since 1866 and Brixham has provided the base for a lifeboat since then. The Station was granted the Freedom of the Borough of Torbay in 1988. For a period just under 50 years Torquay had a lifeboat station, Dartmouth also had lifeboats for just under 20 years from 1878. A new Dart Lifeboat Station was established in November 2007. 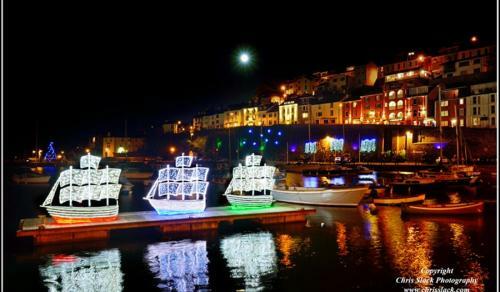 Lanterns Lights and luminations - 23rd November 2019 -click the link for more info- English Riviera - Brixham will celebrate its Christmas Lights Switch on with a Lanterns, Lights and luminations parade. Venue:The Quay, Middle Street, Fore Street, Strand, Kings Street. Brixham Christmas Lights Switch On Event.